Brand New Mini DVI to VGA Monitor Adapter Cable. This is non-OEM product, but totally compatible with iMac (Intel Core Duo), MacBook, and 12-inch PowerBook G4. Connect the adapter to the Mini-DVI port of the PowerBook G4 and the VGA end of the adapter to an external VGA monitor or projector. Video-mirroring or dual display modes are supported. 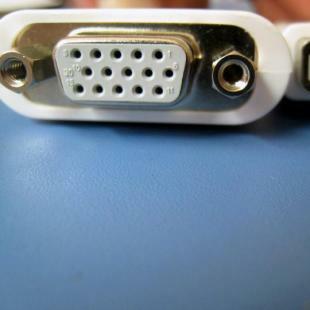 Mini DVI to VGA Monitor maintains high bandwidth and maximum data signal integrity. 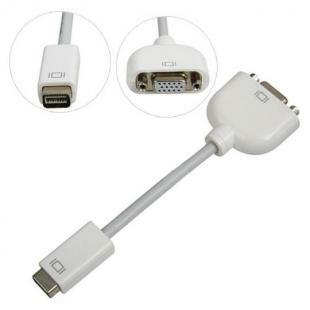 Find, Read Reviews & Buy cheap Mini DVI to VGA Video Adapter Cable for Macbook iMac products at wholesale price from leading chinese supplier, enjoy online Mini DVI to VGA Video Adapter Cable for Macbook iMac for sale and become wholesaler now!